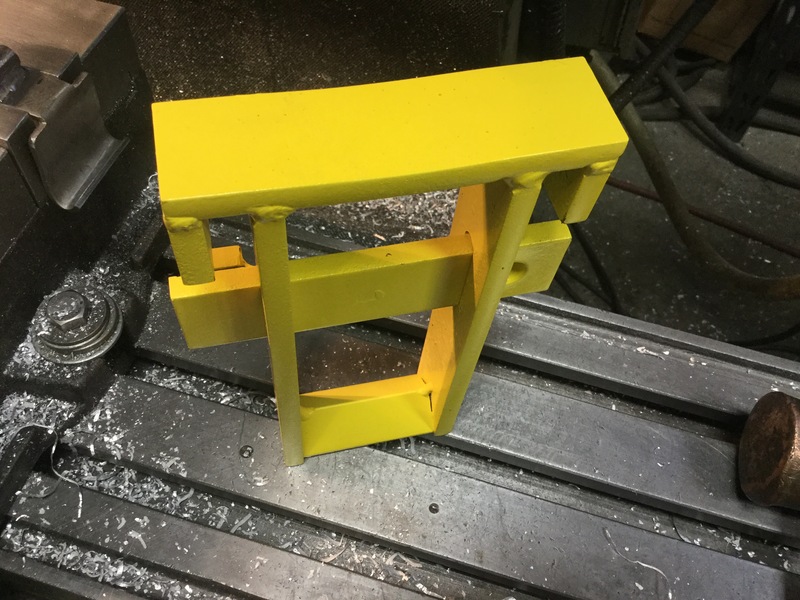 A late Xmas present made from 3/8″ X 1.5″ steel ( 3/8″ is admittedly overkill). Padlock goes through the hole in the removable bar. The design is a direct copy of one I saw on the net ( I think made by a German vanagon owner). There are a few variations on the pedal lock theme, I chose this one as it seemed to be the simplest. This entry was posted on March 1, 2017, 4:42 pm and is filed under vanagon, vanagon mods. You can follow any responses to this entry through RSS 2.0. You can skip to the end and leave a response. Pinging is currently not allowed. Well that’s a disheartening story Alan. I’ve wondered about a shift lock but a bit worried about the strength of the shifter assembly. Maybe an e brake lock would be better? Something that wedges the e brake handle up hard and locks? Re Alan’s comments about a lock to keep granny gear or reverse engaged: at one point I started acquiring parts to do just that for my old mustang. I bought a power door lock solenoid and was planning to have it operate a hardened steel pin that would run through the existing holes in the shift linkage assembly stopping the parts from moving (it was actually the neutral alignment hole in a Hurst Competition Plus shifter so I would have had to drill an extra hole through the reverse plate so i could lock it in reverse). 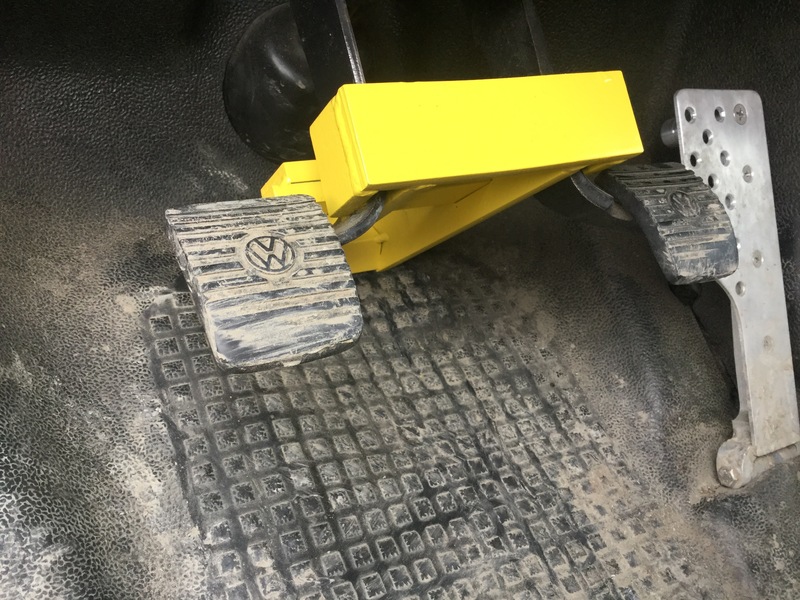 Although I suppose if one did add something like that to our vans, a potential thief would likely break the shifter in an attempt to get it to move, so … yes, AB’s idea of an e-brake handle lock sounds best to go along with the clutch/brake pedal lock. I’m glad you agree that the shifter lock is a weak idea. I’m thinking more on the e brake lock. Hey Ed, spring is springing around here, you feel it?